Kajabi Home Page Video from Dean Guccione on Vimeo. Did you know that for every firefighter job opening there are at least 2000 to 3000 applicants? The Firefighter Oral Interview Academy is a proven, step-by-step process that shows you exactly how to finish at the top of the list. Chief Dean Guccione, Beverly Hills Fire Dept. (Ret.) teaches you how to properly prepare for your oral interview; how to turn your past mistakes into positives with the interview panel, Fire Chief, and background investigator; and how to confidently answer ANY situational question thrown at you by the interview panel, even if you're put into a no-win situation. 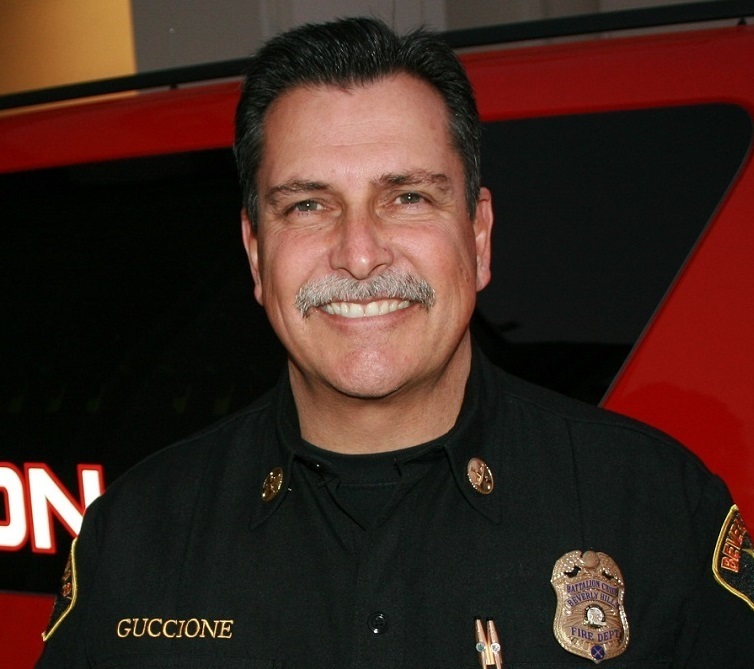 Chief Guccione is the right coach and mentor with the inside knowledge and experience to help you present the BEST YOU to the panel and Fire Chief. Learn how you can finish with a top interview score within weeks, not years with the Firefighter Oral Interview Academy. Tomorrow's Firefighter has already donated over $1500.00 to these great charities! This is my flagship program that is a proven, step-by-step online coaching program that shows you exactly how to finish at the top of ANY Fire Department list within weeks, not years, so you can realize your dream of becoming a full-time, professional firefighter. Learn how you can improve your firefighter oral interview score with this targeted program that shows you exactly how to answer the most common and most difficult firefighter situational questions. Over 2 1/2 hours of coaching and training included. Get one-on-one coaching with Chief Dean Guccione where you get private, UNLIMITED one-on-one coaching with Dean until you are hired. This is a remarkable opportunity to help you realize your dream faster than you ever thought possible. In this monthly membership program, you have full access to the recordings of all the Group Coaching Sessions for my Firefighter Oral Interview Academy program. This program will help you significantly improve your oral interview score. 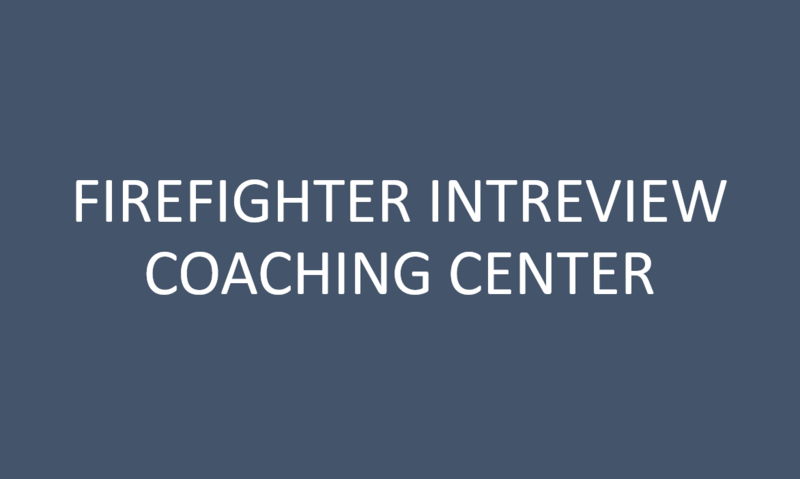 Do You Want To Significantly Improve Your Firefighter Interview Score? Chief Guccione Will Show You How. Sign Up For Your Free Firefighter Interview Training Series. "When you are not preparing, someone else is. When you go up against him, he will win." Learn How You Can Earn A Top Interview Score With ANY Fire Department And Become The Firefighter Candidate That ALL Departments Want To Hire. Did you know that before many firefighter candidates are hired, they are given multiple job offers by as many as 3 to 5 fire departments? That's because they not only tested with multiple departments, but because they learned how to become the candidate that all departments want to hire. How did they do it? By knowing exactly how to prepare for their interview and for the riggers of the job. The Firefighter Oral Interview Academy is a proven, step-by-step online coaching program that shows you exactly how to finish at the top of ANY Fire Department list within weeks, not years, so you can realize your dream of becoming a full-time, professional firefighter. I show you step-by-step how to use your personal experiences to answer any question thrown at you by the interview panel. You'll learn how to present the BEST YOU in a conversational way to the panel. Your confidence will increase significantly while eliminating canned or rehearsed sounding answers, in the end earning you that top interview score. If you are worn down by the hiring process or the conflicting information about how to properly and effectively prepare for your interview, then the coaching and mentoring that Chief Guccione provides in this program is definitely for you, if you're serious about earning your badge. Learn how you can earn a top score on your firefighter Chief's interview with this targeted program that shows you exactly what Fire Chiefs are looking for in a candidate. 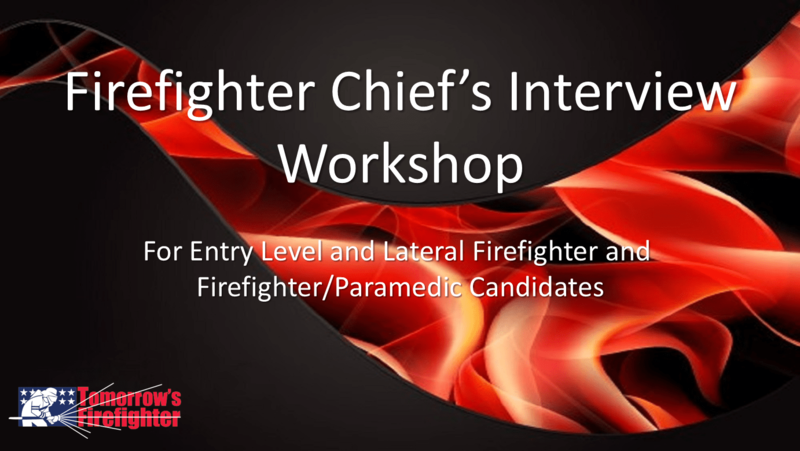 There are over 4 hours of coaching and training where Chief Dean Guccione deconstructs the Chief's interview and shows you the exact areas where you will be evaluated and how to handle any question thrown at you by the Chief. When completed with this program, you will have an inside understanding of the Chief's interview that no other coach is teaching. Chief Guccione is now offering private, unlimited and continuous interview coaching until you are hired as a full-time, professional firefighter. There is no-time-limit on this exclusive coaching and mentoring program where Dean will personally work with you through the entire hiring process, including the Chief's interview and background investigation. If you are interested in fast-tracking your interview preparation, there are only 12 available spots at any given time. These spots fill up quickly. Application is required. Discover how you can improve your firefighter interview score by learning exactly how to answer these often difficult or seemingly no-win questions. In this targeted online coaching program, Chief Dean Guccione discusses, deconstructs and explains, step-by-step, how to answer the most difficult situational questions you will ever be asked by the interview panel. This program will help you think on your feet and improve your emotional intelligence, people skills, and conflict resolution skills.